Kristina M. Seil is an attorney who practices in the areas of employment-related, investment, and family-based visa and immigration matters. Ms. Seil earned her J.D. degree from Golden Gate University School of Law, where she earned public interest and faculty scholarships and edited the Golden Gate University Law Review. 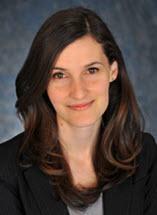 Ms. Seil served as a federal judicial extern for the U.S. District Court, Northern District of California, and as a legal intern at the United States Department of Homeland Security, Immigration and Customs Enforcement (ICE) Office of the Chief Counsel in San Francisco from 2011-2012.